Looking for information about starting an online business? This book will give you the basics, the step-by-step guides and the opportunities for making money online. Whether you want to earn some extra cash or you want to build a successful company, you will find numerous examples and essential background information that will help you get started. The author is an entrepreneur and a freelance writer having over seven years of experience in the niche of online revenue generation. 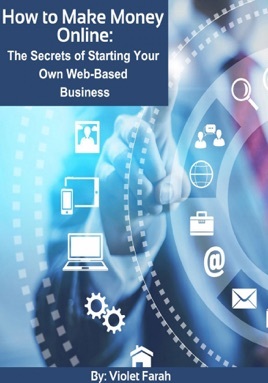 This is her first book and the beginning of a series about online entrepreneurship. All of the information in this book about how to make money online is based on the author's experience in the niche. It will provide realistic ideas and directions that even beginners will be able to follow.